Britain’s political crisis sparked anxiety across the European Union on Wednesday as fears rose that Britain would crash out of the bloc on March 29 without a withdrawal agreement to smooth the way. 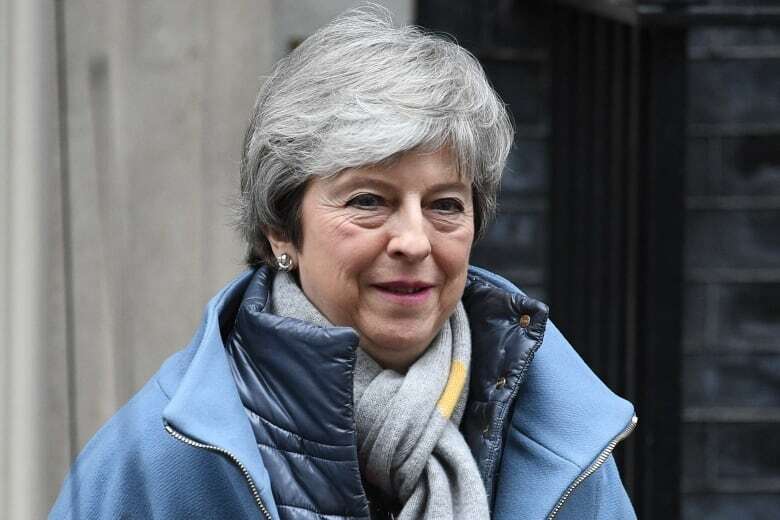 Residents, businesses and politicians across Britain and the bloc are bracing for a chaotic Brexit after British lawmakers rejected Prime Minister Theresa May’s Brexit agreement for a second time by a decisive 391-242 vote on Tuesday. The British prime minister who set the Brexit process in motion warned that leaving the European Union without a deal would be disastrous for the United Kingdom. David Cameron on Wednesday said a “no-deal” scenario “would be a disaster for our country,” and urged members of Parliament to rule out leaving the EU without an agreement. Parliament began voting Wednesday at 3 p.m. ET on whether to leave the EU without a deal — though that won’t eliminate the risk it could happen anyway. 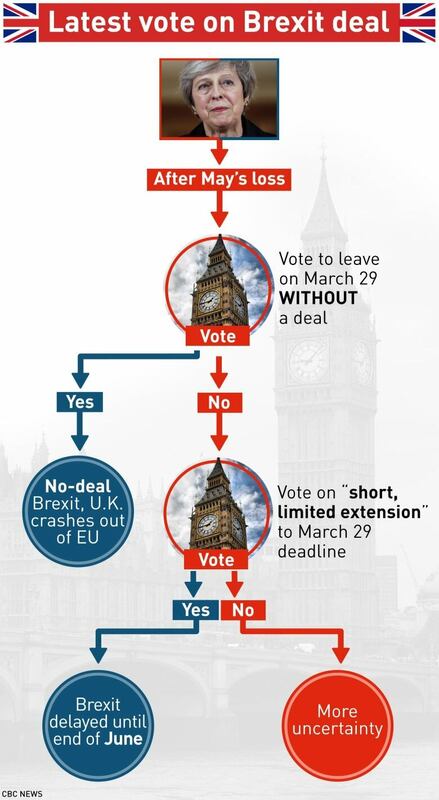 Parliament’s next step, in a vote Thursday, will be to seek a delay of that looming departure date. As Britain teeters ever closer to the edge of the Brexit cliff, lawmakers are trying to seize control from the divided and squabbling government, although it’s far from clear if they can agree on a way forward. There are competing factions that support May’s deal, a “softer” deal that would keep close ties with the EU, a no-deal Brexit, or even a new referendum on Britain’s EU membership. Cameron said he fully supports Prime Minister Theresa May’s attempts to maintain a “close partnership” with Europe after Britain leaves the EU. He was speaking in London, the morning after British lawmakers rejected May’s Brexit deal on Tuesday evening by a 391-242 vote. Cameron said legislators should seek an extension to the March 29 deadline. Meanwhile, the U.K. government has said it won’t impose new checks and controls on goods at the Northern Ireland-Republic of Ireland border if the U.K. leaves the EU without an agreement on future relations. As part of the plan, the government said there would be no tariffs on 87 per cent of imports by value, a “modest liberalization” compared with current trade rules. Germany’s foreign minister said the U.K. Parliament’s rejection of the Brexit deal was “reckless.” Heiko Maas said the EU made “far-reaching additional offers and assurances” at Britain’s request this week. “How much more of this can Britain take?” asked the Express.